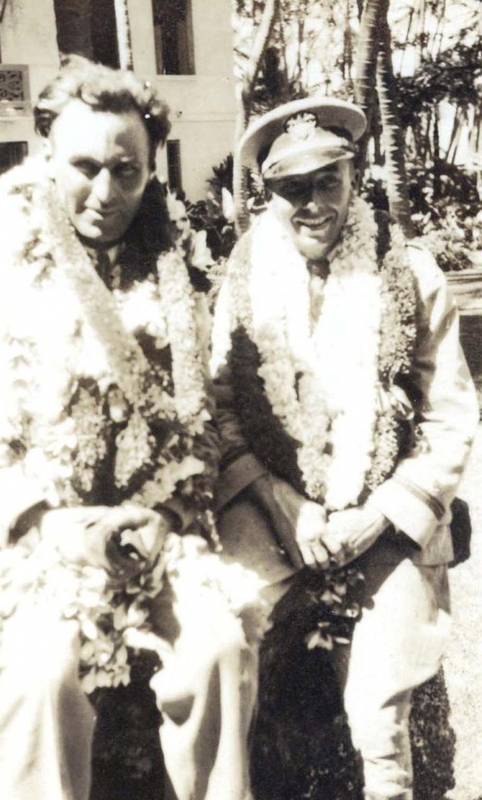 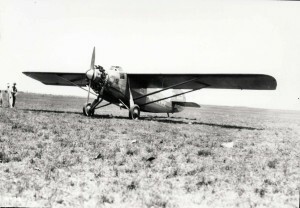 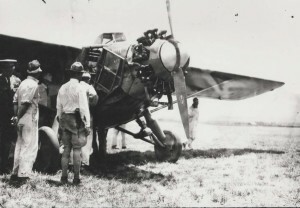 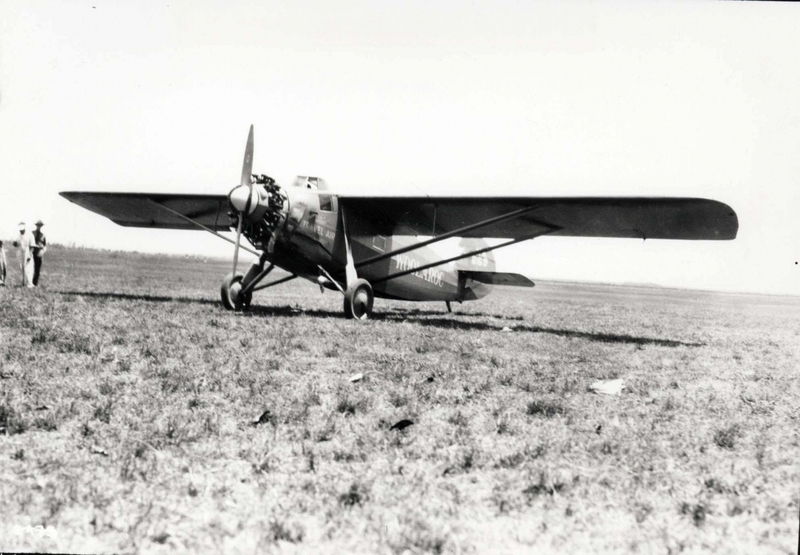 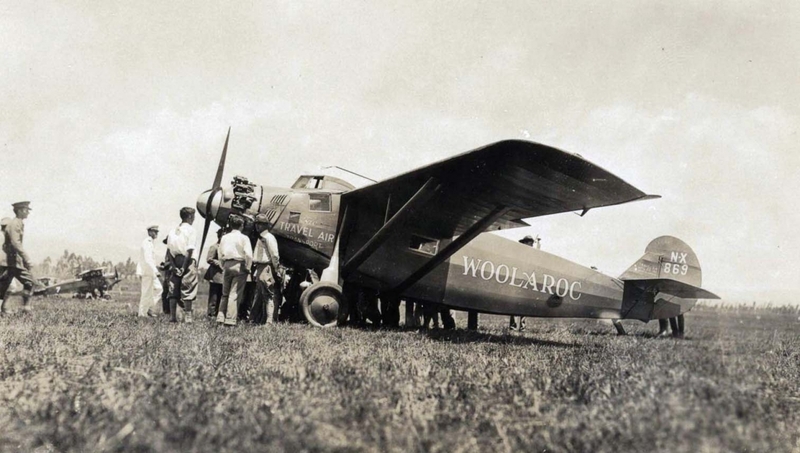 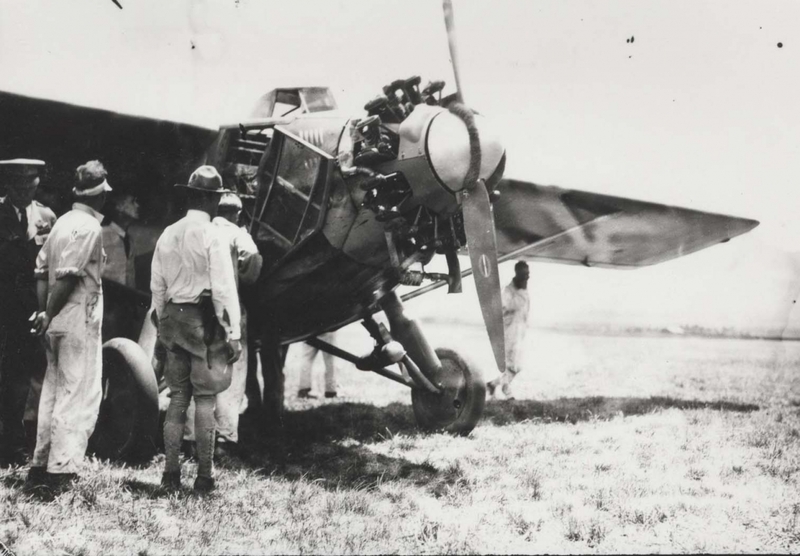 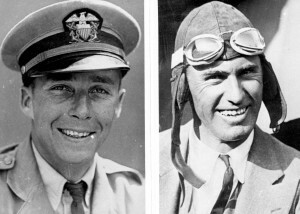 William W. Davis, navigator, and Arthur C. Goebel, pilot, took off in the Woolaroc on August 16, 1927. 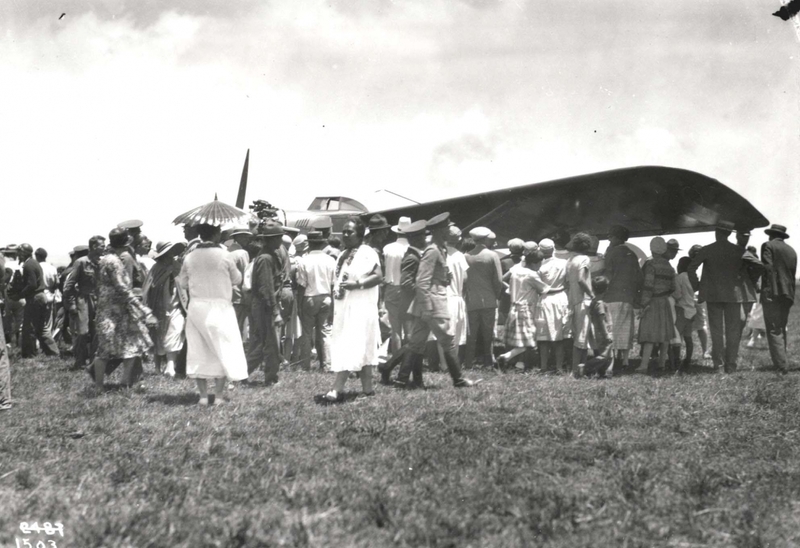 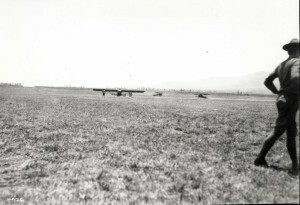 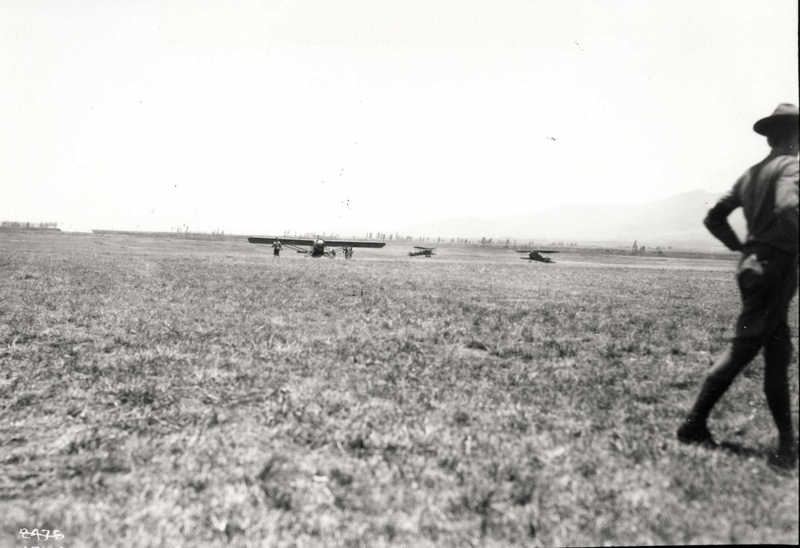 They finished first landing at Wheeler Field on August 17, 1927 in a time of 26 hours, 17 minutes and 33 seconds. 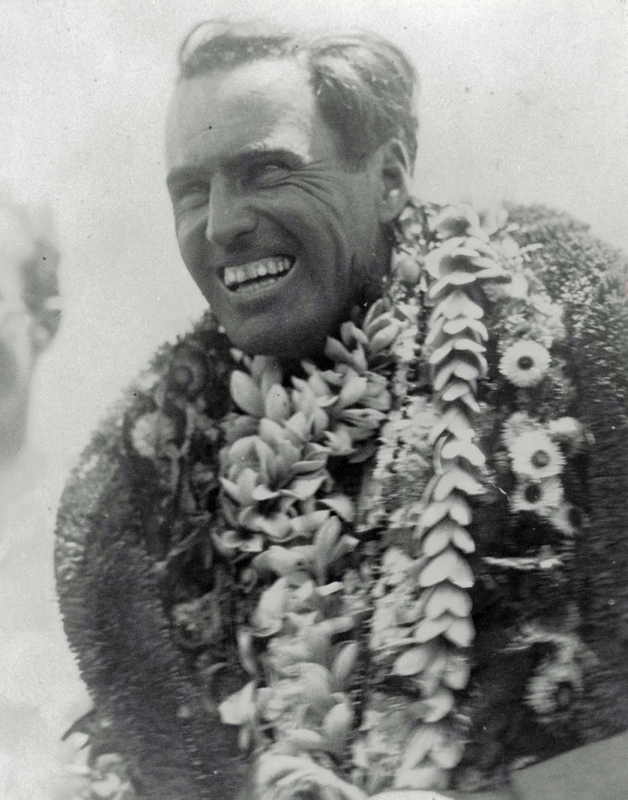 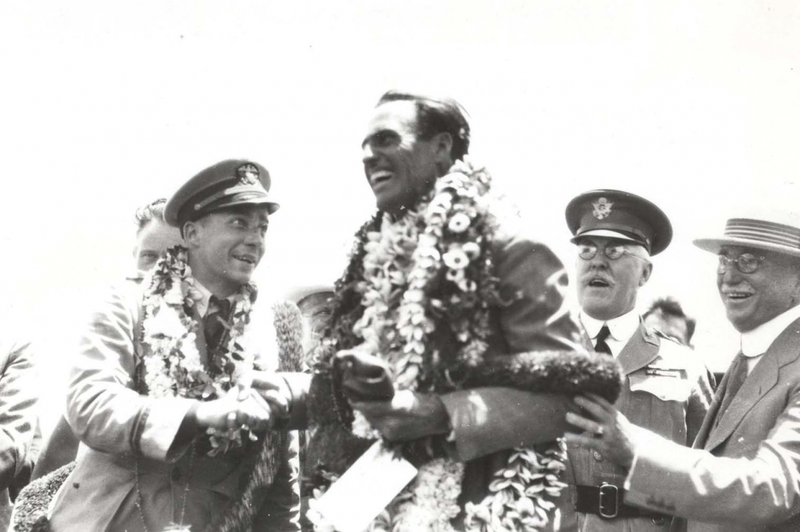 Pilot Art Goebel is all smiles and lei after winning the Dole Derby on August 17, 1927 in the Woolaroc. 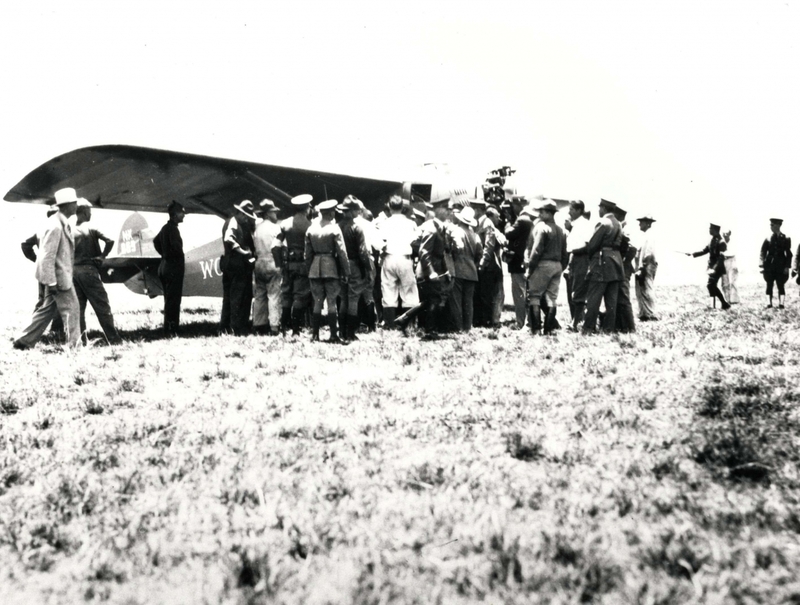 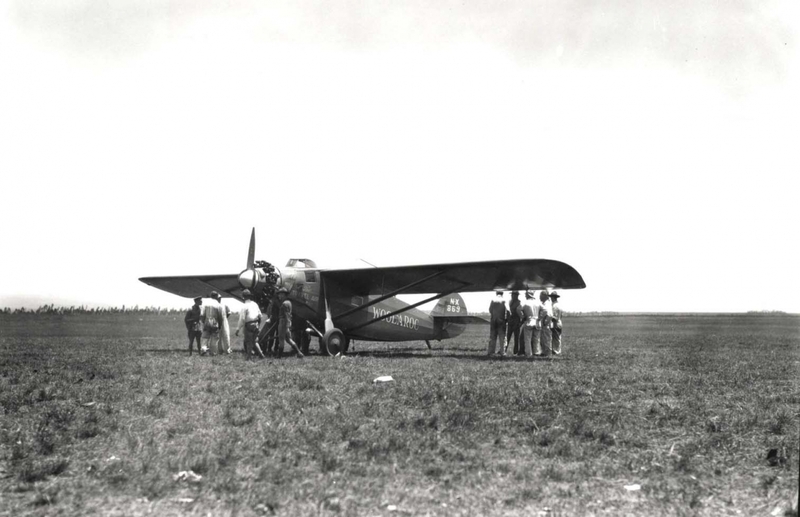 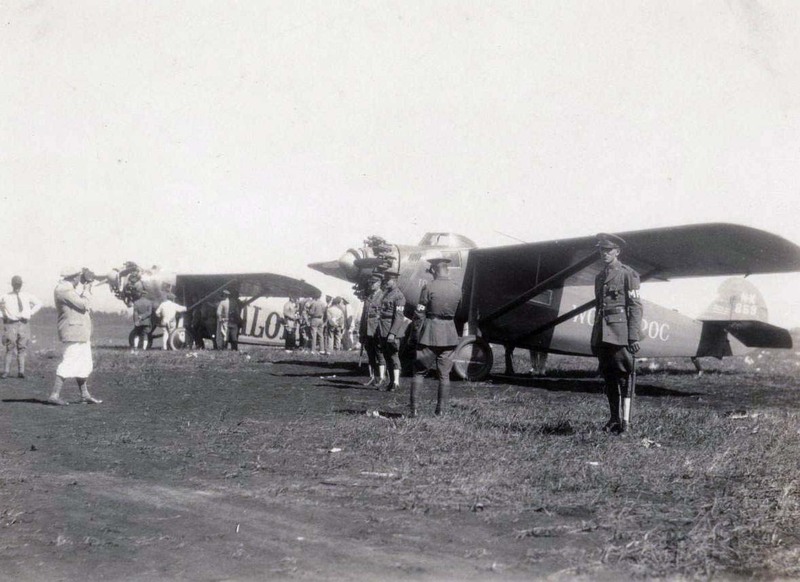 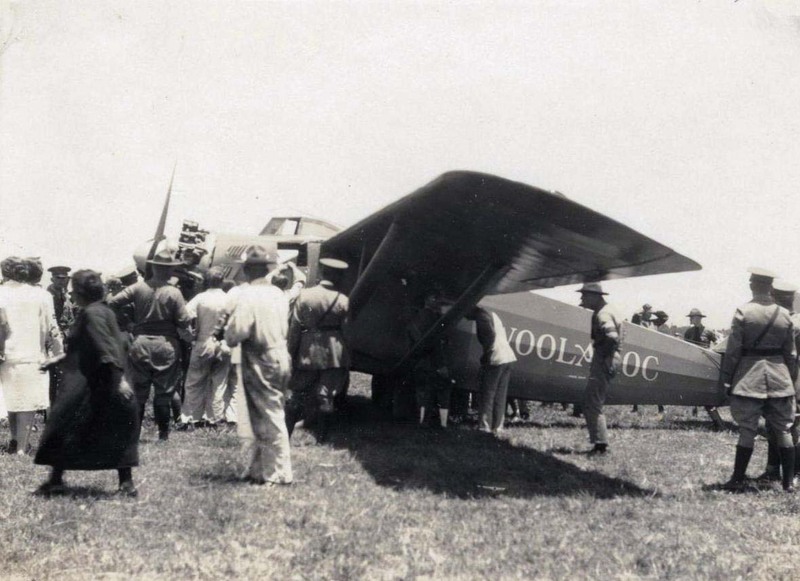 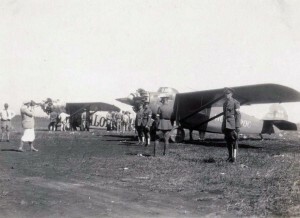 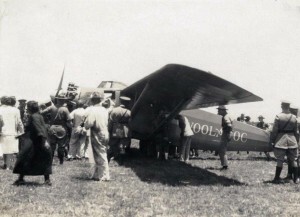 The winning plane the Woolaroc taxies to the reception stand at Wheeler Field on August 17, 1927 after a flight of 26 hours 17 minutes and 33 seconds from Oakland, California. 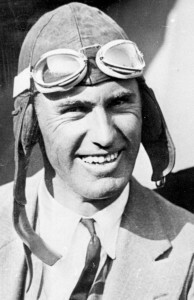 The pilot was Art Goebel. 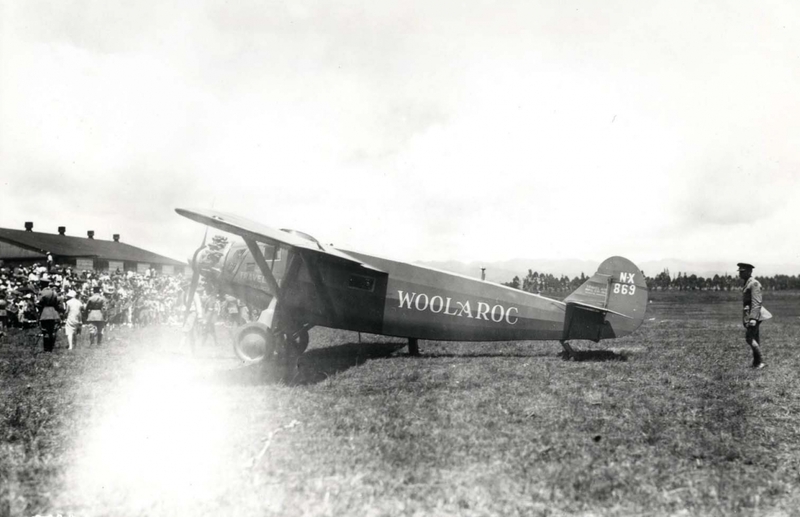 Dole Derby winner Art Goebel lands the Woolaroc at Wheeler Field, August 17, 1927. Dole Derby winner Art Goebel and the Woolaroc were welcomed at Wheeler Field, August 17, 1927. 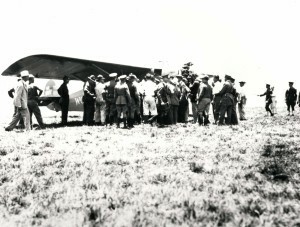 A crowd gathers around the Dole Derby winner Woolaroc after it came to a stop at Wheeler Field's grassy runway, August 16, 1927. Dole Derby winner Art Goebel at review stand, Wheeler Field, August 17, 1927. 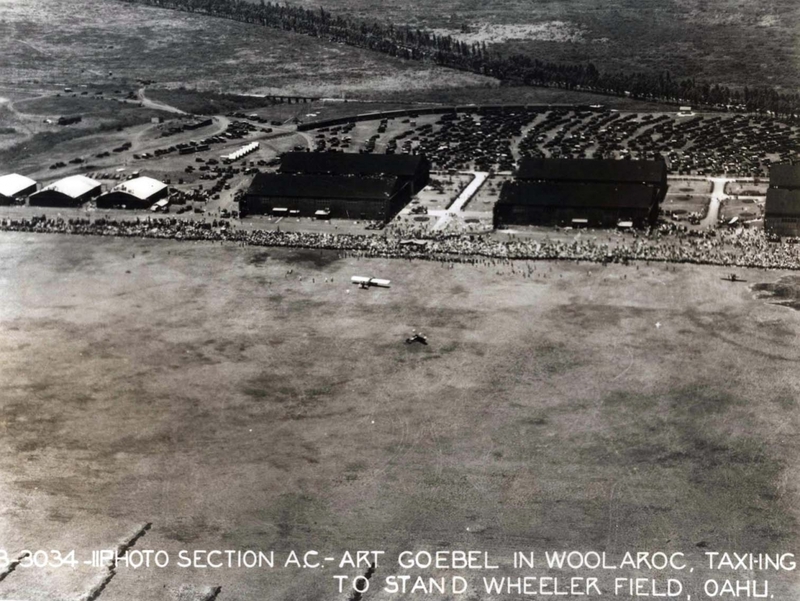 Dole Derby winner Art Goebel landed at Wheeler Field, August 17, 1927. 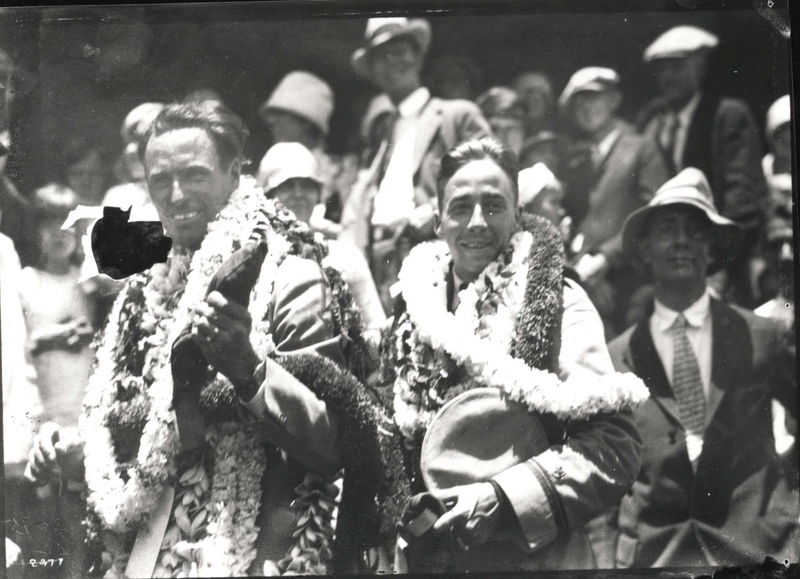 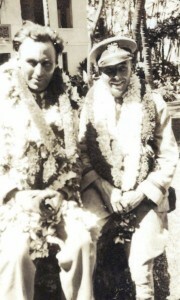 Dole Derby winners Art Goebel and William Davies after they landed at Wheeler Field, August 17, 1927. 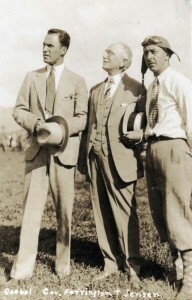 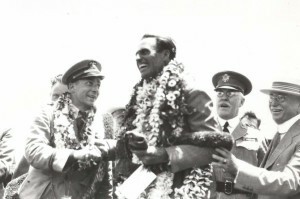 Lt. William Davies and Art Goebel, winners of the Dole Derby, with Maj. Gen. Edward Lewis and Governor Wallace R. Rider, August 17, 1927, Wheeler Field. 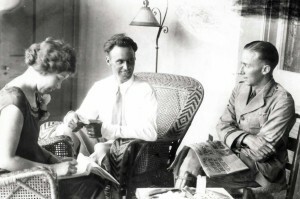 Dole Derby winners Art Goebel and William Davies tell their story to a stenographer the next day, August 28, 1927 at the Royal Hawaiian Hotel. 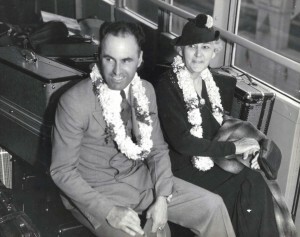 Dole Derby winner Art Goebel and his mother, Emma Goebel, 1927. 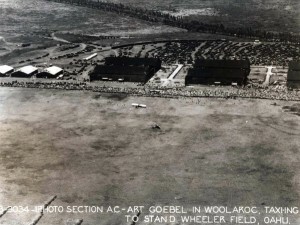 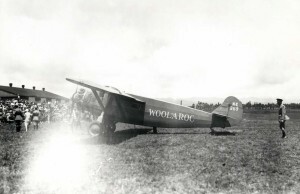 Winner Art Goebel's Woolaroc at Wheeler Field, August 17, 1927.